Concerned with helping you keep your records and High-Fidelity equipment (turntables, Hi-Fi cartridge, phono preamp...) in mint condition, maPlatine.com has a selection of cleaning products on offer to make your audiophile equipment last! 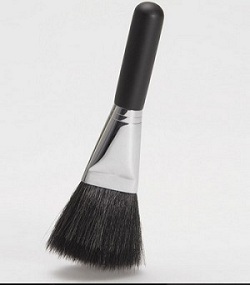 This great antistatic brush SK-2 comes from Japan, and more specifically from Furutech! Made in the hair of a goat of a very specific breed, its very fine and soft hair will clean your records beautifully. It's so easy to use, all you need to do is run it over your records to remove static. The effect is immediate and highly effective. It also has other applications. In fact, the brand also recommends it to clean your CDs and even your flat screen TV. This brush is an essential that you need to have in your audiophile toolbox! 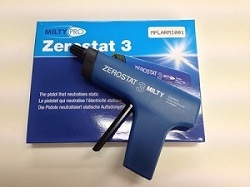 British High-Fidelity manufacturer Milty impresses with this antistatic gun that features a very clever system. The Zerostat III generates a load of positive ions that immediately eliminate any static on your vinyl records. Its main asset is that it is user-friendly: it works without batteries or any product. After using this gun you can rediscover your collection: it makes the sound a lot cleaner and more precise. 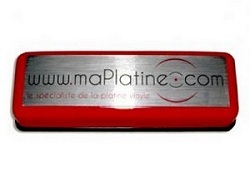 Our maPlatine.com selection features the Apollo velvet brush. This brush is made of very soft velvet to clean your records with great care. It will be very handy to efficiently spread your record cleaning fluids over the entire surface of your records. This care kit in a wooden box from the famous German brand Clearaudio is very comprehensive. It includes a 100 ml bottle of Pure Groove solution, a solution for acrylic surfaces, an Elixir of Sound stylus solution, a syringe with polishing paste (for scratch removal), a microfibre cloth, a cartridge screwdriver, a carbon antistatic brush, a stylus brush and a brush to apply the cleaning product. Very handy to clean your turntables and vinyl records thoroughly, it can also serve as an item of decoration with the beautiful box made of magnificent varnished wood. 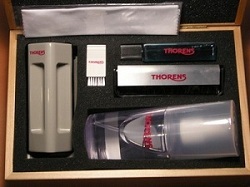 Swiss manufacturer Thorens also has its own cleaning set. In this gorgeous wooden box, you'll find the essentials to take care of your Hi-Fi equipment, from your precious records to the diamond on your stylus. We highly recommend it if you have a collection of vintage records, the Thorens cleaning set will give them a new lease of life! A forerunner on the record cleaning machine segment, the prestigious US brand VPI is in the spotlight with its outstanding automatic record cleaning machine. The HW-17 Cleaning machine is very easy to use: all you have to do is pour the necessary amount of cleaning fluid and then let the magic do the rest. Your records will come out shiny and free of any grime. In addition to its impressive efficiency, it boasts a very elegant design. The famous German manufacturer Clearaudio has also developed a great cleaning machine. 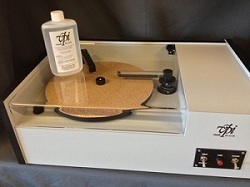 It was designed to offer a more affordable product than the big machines on the market, while retaining good performance levels and the German-made production quality Don't hesitate to indulge in this cutting edge machine to clean your entire LP collection quickly and easily! This record cleaning machine from Spin Clean is entirely manual. If you own a large collection of vintage or old LPs and don't have the budget to invest in an automatic machine, then this is what you need. 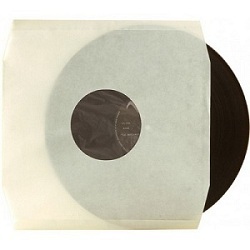 It is very easy to use: just pour the cleaning liquid inside and dip your record in it. It will come out clean and without any dirt. To keep your precious records safe, we offer these high-density polyethylene sleeves. 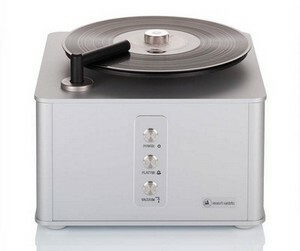 They ward off residue or impurities from the grooves to eliminate crackling during playback. If you store your records in this sleeve instead of their original sleeve, they will be better protected from static! To clean and boost your stylus, Clearaudio has developed the Elixir of Sound stylus cleaning solution. 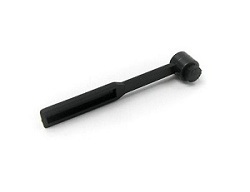 It will eliminate dirt from your stylus and guarantee a dynamic and highly precise sound quality. Ideal for brushing your cartridge to make it 'silkier'. 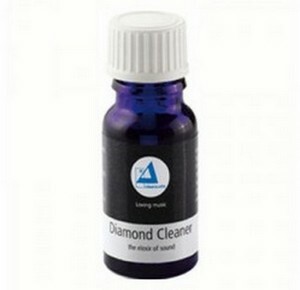 It will eliminate the dirt that affects the sound quality of your turntable.